This week we witnessed another chaos performance of the British Parliament. The House of Commons has staged vote after vote after vote and we still don't know what's going to happen. Guess what: there might not be Brexit after all! On this side of the Channel, European leaders reacted with the same frustration that they have voiced for months. Is there a way to break through the gridlock? 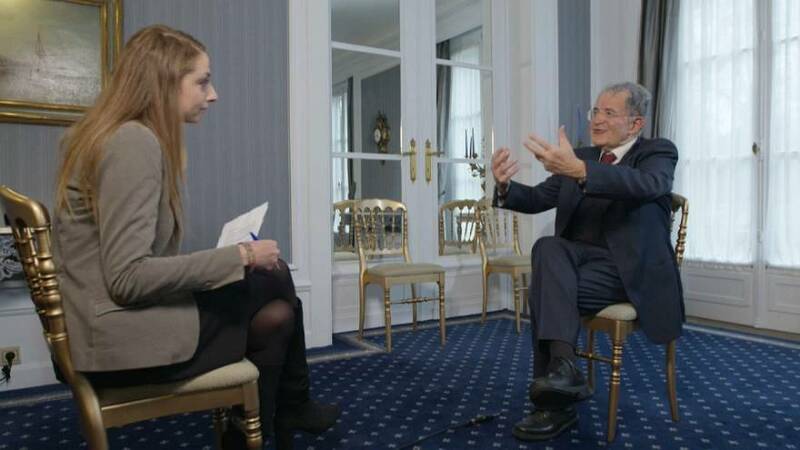 We wanted to know from a seasoned European dealmaker, former EU Commission President and Italian Prime Minister Romano Prodi. "I think this is really a mess. I thought that during the negotiations we would have seen a United Kingdom vs a divided UE, while now we have a divided UK and a united Europe. The internal division is very deep. I think there will be some negotiations among the member states, but this is not as important as the lack of a common British will. This is the core of the matter". Michel Barnier said the EU has done all that it could in order to reach a deal. But is there something more that the EU could have done, is also the EU is responsible for failing to delivery Brexit on time? It is difficult to do something more if your interlocutor doesn’t know what to do. Because this is the real problem. I have followed deeply the problem and every day I had to change my mind because I don’t know where the Brits could converge. Since you were president of the European Commission, many things have changed and the European project is nowadays facing big challenges: Brexit, the spat with some eastern countries on the rule of law, the rise of populist and eurosceptic parties. Something went wrong... what's the mea culpa that the EU should do? We have to go back to some sort of common will in Europe, with different conditions and different rules. The best definition of Europe is: the European Union is a union of minorities. If we don’t go back to that ad if we don’t represent minorities inside the Commission, then Europe is lost. The populist parties will be able to challenge the decision-making process at the next European Parliament, are you worried about that? So do you think that Brexit gave a lesson to the populists? Do you think the EU will be able to overcome this difficult moment it is living through? Yes, I am sure. Of course probably after a deepening of the crisis, maybe because of fear and not because for joy, as I hope, but there is no alternative. What could happen next in the Brexit saga now MPs voted for a delay?